Bluechiip Ltd (ASX:BCT) provides the Company&apos;s broker presentation. Bluechiip Ltd (ASX:BCT) provides the Open Briefing interview with MD Andrew McLellan. 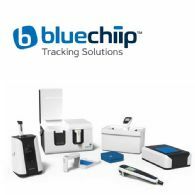 The principal activity of Bluechiip Ltd (ASX:BCT) during the half year was the development and commercialisation of a wireless tracking solution for the healthcare and life science, security, defence and manufacturing industries. Bluechiip Ltd (ASX:BCT) provides the Company&apos;s Open Briefing Interview. 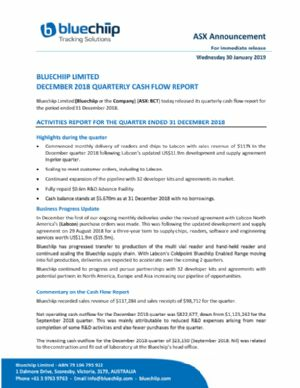 Bluechiip Limited (ASX:BCT) today released its quarterly cash flow report for the period ended 31 December 2018. Bluechiip Ltd (ASX:BCT) provides the Company&apos;s AGM Presentation. Bluechiip Ltd (ASX:BCT) provides Open Briefing interview with MD Andrew McLellan. Bluechiip Limited (ASX:BCT) today released its quarterly cash flow report for the period ended 30 September 2018. Bluechiip Limited (ASX:BCT), a leader in the development of sample-tracking technology for harsh environments, is pleased to report the Share Purchase Plan announced on 10 September 2018, closed on Friday 28 September 2018 and raised approximately $1.95 million. Bluechiip Ltd (ASX:BCT) provides the Company&apos;s Annual Report to shareholders. Bluechiip Limited (ASX:BCT), is pleased to confirm that, further to the ASX Release dated 10 September 2018, the Company has completed the share placement (Placement) of ordinary shares that has raised $5.5 million of funding. 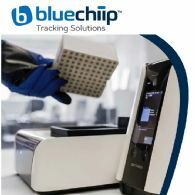 Bluechiip Limited (ASX:BCT), a leader in the development of sample-tracking technology for harsh environments, today announced it has successfully raised $5.5 million via an oversubscribed placement to sophisticated and professional investors. Bluechiip Ltd (ASX:BCT) provides the record of Open Briefing interview with MD Andrew McLellan. 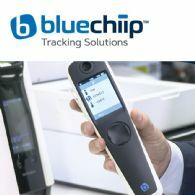 Bluechiip Limited (ASX:BCT) a leader in the development of sample-tracking technology for harsh environments, today announced the signing of a three-year $US11.6 million ($A15.9 million) deal to supply its chips and associated hardware and services to vial manufacturer Labcon North America. 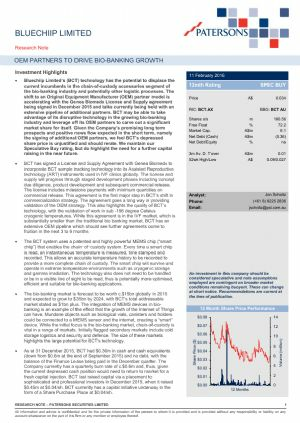 Bluechiip Ltd (ASX:BCT) provides the Company&apos;s 2017-18 Highlights. Bluechiip Limited (ASX:BCT) today released its quarterly cash flow report for the period ended 30 June 2018. Bluechiip Ltd (ASX:BCT) provides the record of Open Briefing interview with Managing Director, Andrew McLellan on Bluechiip deliveries, recent trade show and market update. Andrew McLellan, Bluechiip Limited (ASX:BCT) Managing Director, was recently interviewed as part of the CommSec Executive Series. In the interview Andrew McLellan explains the Company&apos;s technology, progress with Original Equipment Manufacturers and other recent initiatives. Bluechiip Limited (ASX:BCT) advises that as of Monday, 17 July 2017, the Company has changed its provider for shareholder registry services from BoardRoom Pty Limited to Automic Registry Services. 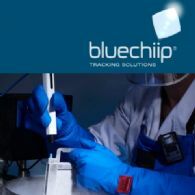 Bluechiip Ltd (ASX:BCT), a leader in the development of sample tracking technology for harsh environments, today announced that its pro rata 1-for-3 nonrenounceable rights issue at an issue price of $0.028 per ordinary share and its associated Top-Up Facility to raise up to $2.53 million successfully closed on 30 June 2017. 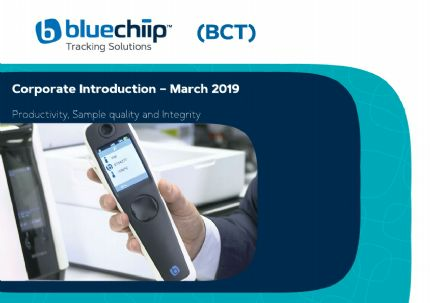 Bluechiip Limited (ASX:BCT), a leader in the development of sample tracking technology for harsh environments, is pleased to provide this company update. Bluechiip Ltd (ASX:BCT) confirms that the Offer Document, together with personalised entitlement and acceptance form, for the non-renounceable rights issue announced by the Company on 1 June 2017, was sent to all eligible shareholders. Bluechiip Limited (ASX:BCT) announced to the ASX a non-renounceable rights issue at an issue price of $0.028 per new share. This Offer Booklet relates to an Offer of New Shares to Eligible Shareholders of Bluechiip Limited (ASX:BCT) by way of a nonrenounceable rights issue. This Offer Booklet is dated 5 June 2017 and was lodged with ASX on that date. The ASX does not take any responsibility for the contents of this Offer Booklet. Bluechiip Ltd (ASX:BCT) today announced that it is raising up to $2.53 million (before costs) through a pro-rata non-renounceable one for three rights issue of fully paid ordinary shares in Bluechiip to all eligible shareholders holding shares on the record date. Bluechiip Ltd (ASX:BCT) is pleased to provide the Company&apos;s latest Investor Presentation. 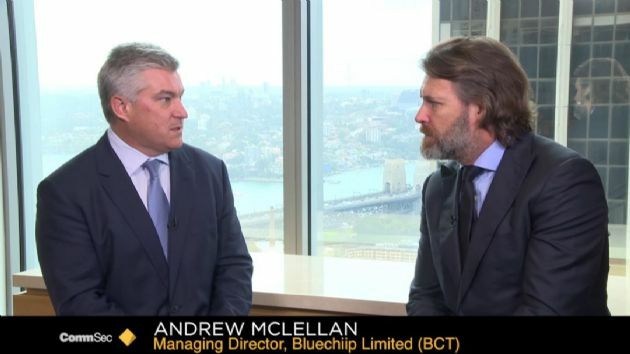 Bluechiip Ltd (ASX:BCT) is pleased to provide the script of the Open Briefing interview with the MD/CEO Andrew McLellan. Bluechiip Ltd (ASX:BCT), a leader in the development of sample tracking technology for harsh environments, today announced it has entered a license and supply agreement with California-based Labcon North America, the world&apos;s leading manufacturer of earthfriendly laboratory consumables. Bluechiip Ltd (ASX:BCT) is pleased to provide the Company&apos;s Half Yearly Report for the period ended 31 December, 2016. Bluechiip Ltd (ASX:BCT) today released its quarterly cash flow report for the period ended 31 December 2016. Bluechiip Ltd (ASX:BCT) is pleased to provide the script of the Open Briefing interview with the MD/CEO. Bluechiip Ltd (ASX:BCT) is pleased to provide the company&apos;s AGM Presentation. Bluechiip Ltd (ASX:BCT) today announced the company has received $50,000 in funding from Innovation Connections to proceed with the second phase of development of its &apos;overtemperature&apos; chip technology with the University of Melbourne. 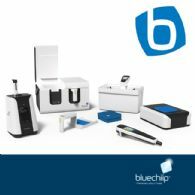 Bluechiip Ltd (ASX:BCT) today announced that it has sold three Starter Kits, which include Bluechiip readers and 4,000 associated consumables. Bluechiip Ltd (ASX:BCT) is pleased to provide its Annual Report 2016 to shareholders. Bluechiip Ltd (ASX:BCT) Directors submit their report for the year ended 30 June 2016. Bluechiip Limited (ASX:BCT) today announced that its pro rata 1-for-3 non-renounceable (Rights Issue) at an issue price of $0.022 per ordinary share (New Share) and its associated Shortfall Facility to raise up to approximately $1.49 million (before costs) closed on 16 September 2016. Bluechiip Limited (ASX:BCT), a leader in the development of sample tracking technology for harsh environments, today announced the signing of two agreements with Planet Innovation (PI), winner of BRW Australia&apos;s Most Innovative Company for the last two years. 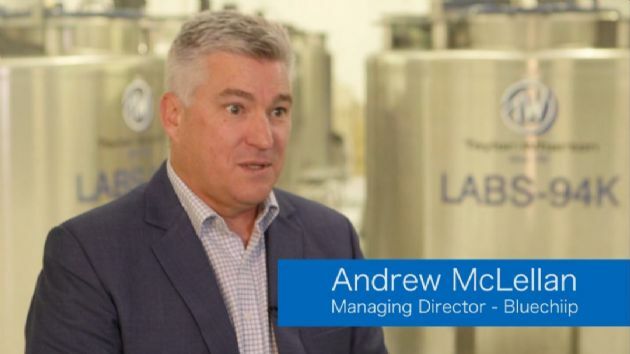 Bluechiip Ltd (ASX:BCT) are pleased to provide an interview with Open Briefing regarding an a Company update with CEO Andrew McLellan. Bluechiip Ltd (ASX:BCT) today announced the signing of a Technology Evaluation Agreement with a major automatic identification and data capture company in the USA&apos;s mid-west and the filing of a provisional patent application for an "over-temperature chip". Bluechiip Ltd (ASX:BCT) are pleased to provide the Company&apos;s latest presentation, &apos;Capital Raising and 1-for-3 Non-renounceable Rights Issue August 2016&apos;. Bluechiip provides unique patented technology combining secure wireless tracking with integrated temperature sensing for extreme environments. The directors of Bluechiip Limited (ASX:BCT) today announced a 1-for-3 Non-Renounceable Rights Issue (Entitlement Offer) to all eligible shareholders to raise up to $1.51 million before costs. The issue is not underwritten. 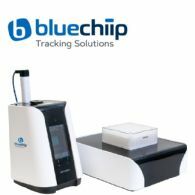 Bluechiip Limited (ASX:BCT), a leader in the development of sample tracking technology for harsh environments, today announced the sale of a Starter Kit to the Chinese Centre for Disease, Control and Prevention (CCDC), based in Beijing. Bluechiip Ltd (ASX:BCT) are pleased to provide a corporate overview of the Company including product profile, target markets, company strategy, competitive advantages and company progress to date. 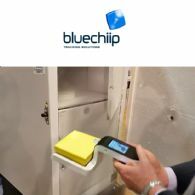 Bluechiip Limited (ASX:BCT), a leader in the development of sample tracking technology for harsh environments, today announced the successful display of its tracking technology at the European Society of Human Reproductive Embryology (ESHRE) trade show in Helsinki, Finland. 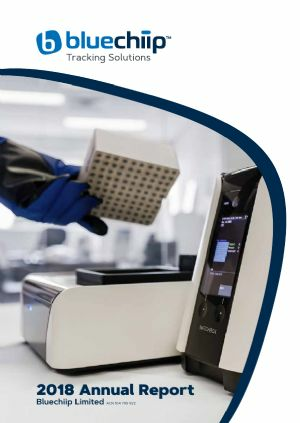 Bluechiip Ltd (ASX:BCT), a leader in the development of sample tracking technology for harsh environments, reports that the company continues to build on recent momentum with the sale of products and license fees. These sales are a direct result of the company&apos;s original equipment manufacturing (OEM) strategy implemented at the beginning of 2015. 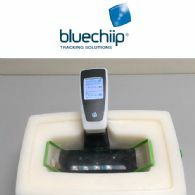 Bluechiip Limited (ASX:BCT) is pleased to announce it has received orders from two new firms to trial its sample-tracking technology.